Dr Sergio Quezada is a Professorial Research Fellow and Group Leader at UCL Cancer Institute in London where he heads the Immune Regulation and Tumour Immunotherapy Laboratory. Prior to this, Dr Quezada worked with Dr James Allison at Memorial Sloan-Kettering Cancer Center studying the mechanisms governing anti-tumour T-cell immunity, and how these mechanisms can be manipulated for the generation of potent anti-tumour immune responses. Dr Quezada’s research interest at UCL remains focused in the study of the mechanism of action of anti-CTLA-4, anti-PD-1 and other immune-modulatory antibodies targeting co-inhibitory and co-stimulatory pathways (including ICOS, 4-1BB, OX-40) and used as novel anticancer therapies. His group has particular interest in the evolution of the immune response to cancer, the impact of immune-modulatory antibodies in the fate and function of tumour reactive T cells, and the role that the tumour microenvironment plays in the response and resistance to such therapies. In the last years, through a number of clinical collaborations, his team gained significant expertise in the characterization and interrogation of the immune function within the microenvironment of different human cancers including melanoma, lung and kidney cancers. (3) the design of novel rational combinations incorporating conventional-, targeted- and immune-based therapies. Dr Quezada is a Cancer Research UK Career Development fellow and the recipient of a Cancer Research Institute investigator Award and Dartmouth’s John W. Strohbern Medal for excellence in biomedical research. Dr. Sharma is a trained medical oncologist and immunologist whose research work is focused on investigating mechanisms and pathways within the immune system that are responsible for tumor rejection and clinical benefit. She is the Principal Investigator of multiple immunotherapy clinical trials and conducts translational laboratory studies related to these trials. Her studies enable development of novel immunotherapy strategies for the treatment of cancer patients. 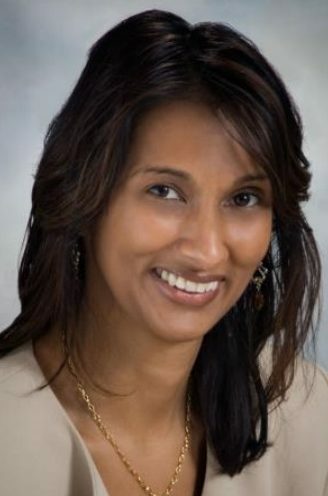 She is a Professor in the departments of Genitourinary Medical Oncology and Immunology, and the Scientific Director for the Immunotherapy Platform at M. D. Anderson Cancer Center. As of 2016, she is also now the Co-Director of Parker Institute for Cancer Immunotherapy at MD Anderson Cancer Center. She received the Emil Frei III Award for Excellence in Translational Research award in 2016.